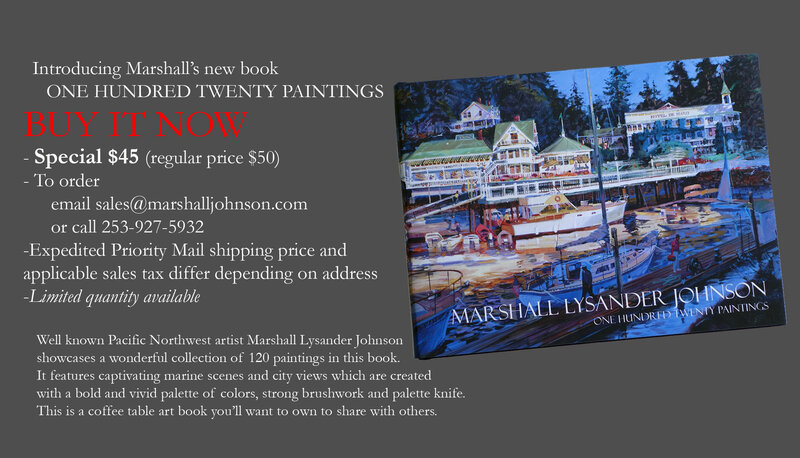 Welcome to Marshall Lysander Johnson's website. 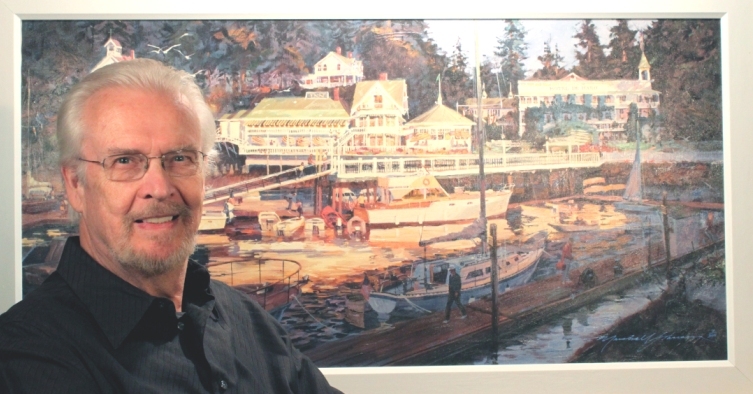 Here you'll find original art, posters, prints, giclées and limited edition serigraphs created by Pacific Northwest artist Marshall Lysander Johnson. 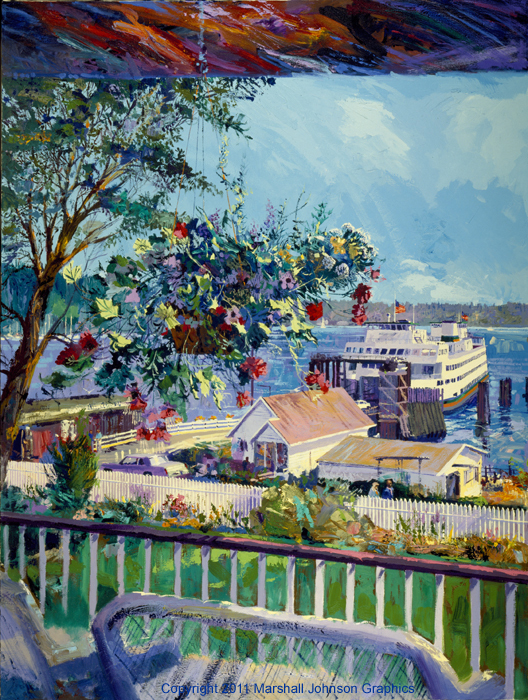 ACTIONPages chose Marshall Johnson as their cover artist for four local telephone directories. 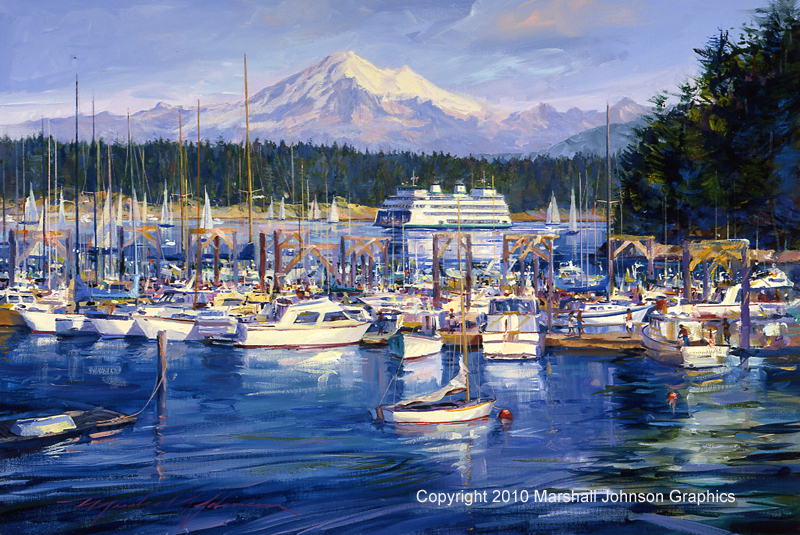 Each image is available as a giclée. Copyright does not appear on the actual prints. 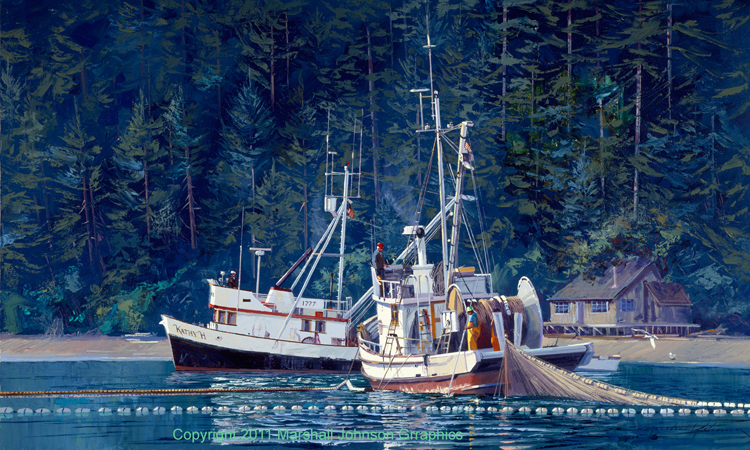 Check out our small format Giclée Page and several new additions to Fresh Paint! The Fresh Paint page is where you'll find the latest original art by the artist and web site specials. Be sure to check back as the page changes often. 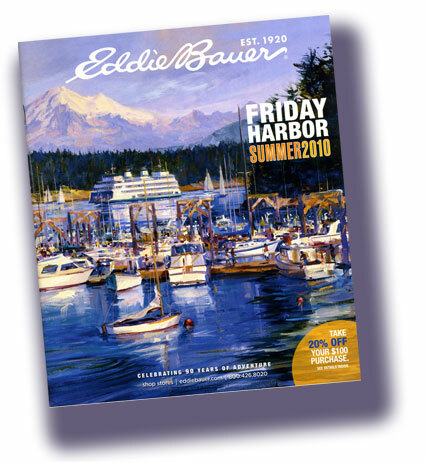 Summertime featured on the cover of the Eddie Bauer Summer 2010 catalog. 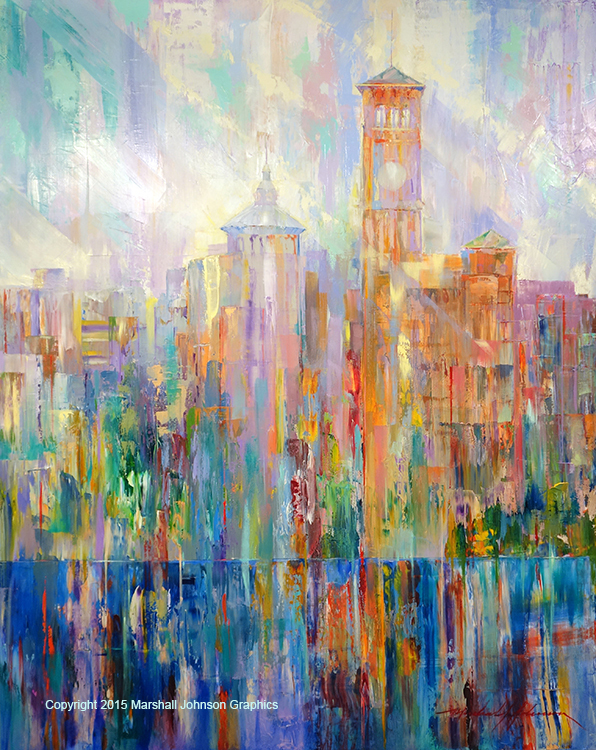 A limited edition print of the image is available for $60. Each 10.75" x 16" print is signed and numbered by the artist and is limited to 200 copies. To order a copy, please email sales@marshalljohnson.com. 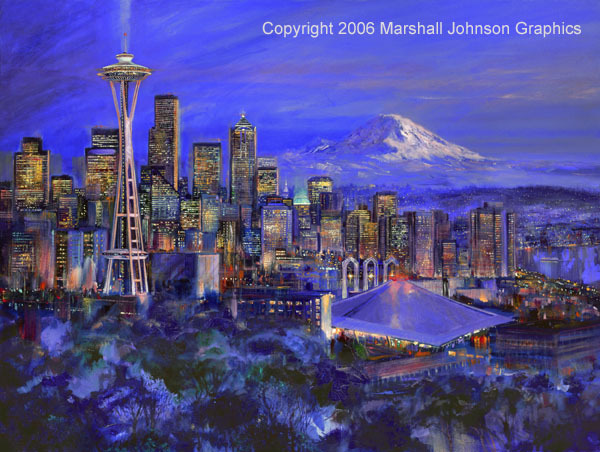 Seattle Lights Limited Edition Giclée on Canvas Copyright © 2006 Marshall Johnson Graphics. Please contact sales for other sizes and pricing. If you have questions or comments about this web site, please contact mjwebmaster@marshalljohnson.com. Copyright © 2017 Marshall Johnson Graphics All Rights Reserved. 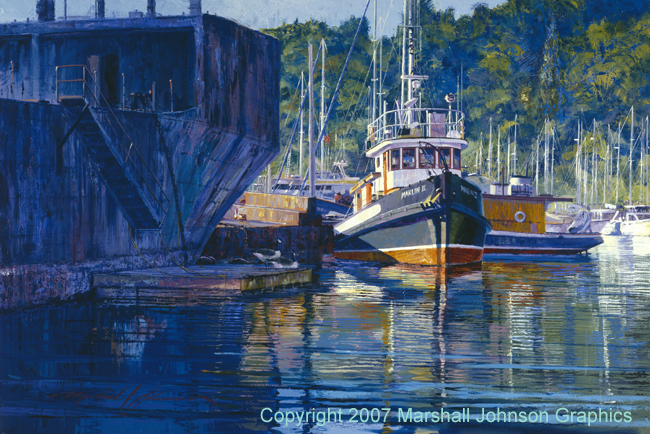 HTML files and graphics reproduction rights are the property of Marshall Johnson Graphics. Duplication by electronic or other means is prohibited by law.